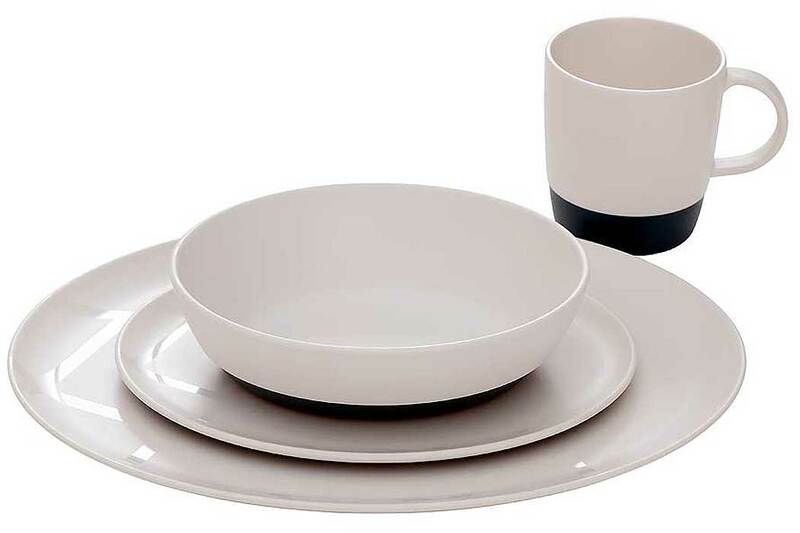 Enjoy your meals on this stunning North Crockery Set. They are made of melamine and consist of dinner plates, lunch plates, cups and cereal bowls. They are white in colour and are imprinted with the Isabella signature logo and a band of petrol blue around the bottom. A great feature about these it that they have a silicone-coated ring underneath to prevent slipping. Lightweight and not too bulky for easy storage.